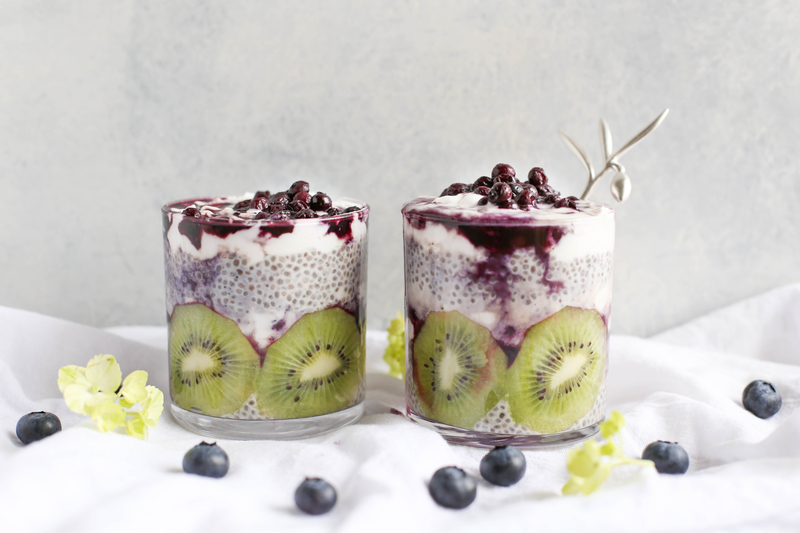 Chia seeds have become a very popular conversation starter when it comes to healthy food options. Even though they are small they come packed with protein, calcium, fiber and omega-3. These seeds may seem very enticing to just take a mouthful but there are particular ways to enjoy them properly. It must be noted that there is limited scientific evidence that states what may be the best way to add all these nutrients to the body from these seeds, however some practical methods and thoughts have been suggested. The most important part of preparing these seeds is soaking them in water. This method allows the seeds to form a coating that makes it easier for the digestion process. Avoid taking a spoonful of dry chia seeds, this has resulted in difficulty swallowing and may possibly result in choking or feeling dehydrated. Do not consume in similar ways as you would for most other nuts and seeds. After being soaked, there will be a remarkable increase in their size; it is said this is one of the reasons for their increased use for weight loss purposes. As when consumed there is no need for adding excess food items for the stomach to feel filled. Another is grinding. The idea is to have the seeds grounded which makes it easier to consume in a powdered format. It is believed that this way allows the body to absorb the seeds in a grounded form which allows it to enter the blood stream at a faster rate. In trying to include these seeds in a healthy diet they can be included in a variety of recipes. Pastries, smoothies, cereals, juices of your choice, salads and even yogurt. These seeds are easy to include as they fit so well into countless meal options. For some, the seeds are considered a little flavourless on their own, which makes it the perfect adage to so many meal items. The nutritional benefits of chia seeds will help with various common bodily issues. An example of such is combatting feeling bloated and general fatigue. Drinking a smoothie or beverage with soaked seeds can definitely help to overcome this discomfort. For a delicious pastry option, try a muffin including lemon, blueberries, apples or a preferred fruit. Add some recommended soaked seeds as per the recipe directions and this will give you a boost for nutrients. A good way to include needed fatty acids to your diet, is to identify easy to prepare meal options. Routine meal adages can be cereal, pancakes, and even a quick yogurt. By adding chia seeds to these your body gets the Omega-3s it will need for those busy days. Consistently using the seeds will allow for better understanding of what works best for you. Try incorporating them in foods or meals you are generally accustomed to preparing then move on to experimenting with new ideas. These unassuming seeds will make such a wonderful impact on your daily meals. Enjoy being healthy; its quite easy to do so!